There's a lot of Star Wars fan films out there, so it takes some pretty impressive work in order for people to turn their heads and actually check one out every now and then. 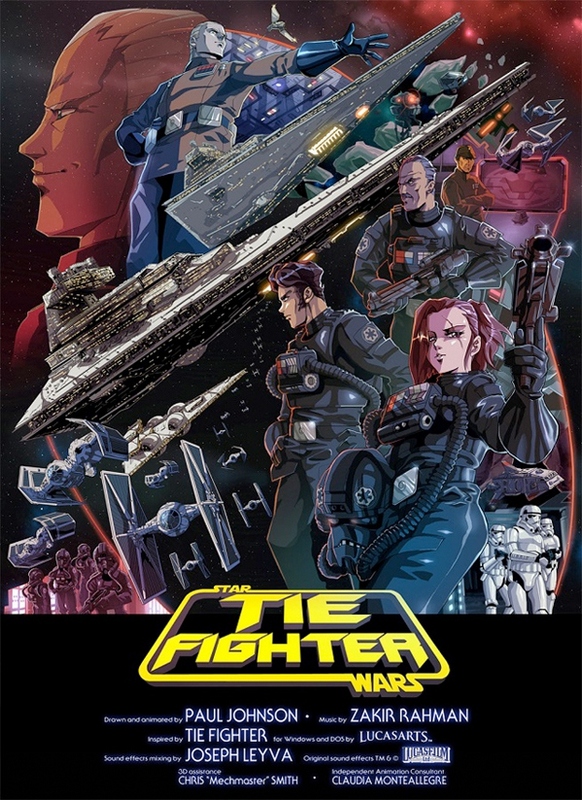 Well, it looks like animator Paul Johnson's anime short TIE Fighter is one of those films. Johnson has spent the last four years making this short film that takes a look at a space battle from the point-of-view of the Galactic Empire, making some of the pilots in the iconic ships actual characters as opposed to just faceless soldiers. As someone who's not really a fan of anime (I don't dislike it, just not my thing), this is still an impressive piece of work. There's been a shorter version available before, but this is the full short. 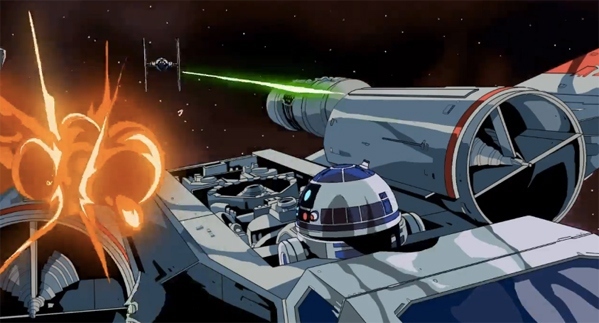 Johnson says, "What if there was an Empire-focussed short Star Wars animation, drawn with the crazy detail and shading of classic 80s anime that’s all but vanished from Japan nowadays? Well, I tried my best. Drawn and animated by yours truly over 4 years’ worth of weekends, with music by the living guitar solo Zak Rahman and sound design by up and coming audio technician Joseph Leyva. Fans of Lucasarts’ seminal 1994 TIE Fighter game may notice a few familiar sights and sounds. That 'incoming missile' noise gives me horrible flashbacks to this day." Like it? I've seen pieces of this years ago, still have a problem with a female Tie Pilot. Not right man, not right. Females in the empire were exceptionally rare. The only 2 female Tie pilots i know of are Cive Rashon and Juno Eclipse. I would love to see a Star Wars anime film/series of some sort. Came out good, seeing their faces humanises them though. You can't humanise the enemy because then you feel sorry for them. Just like in real life. The animation was really amazing, even more so considering it was all done by one guy. But that music... oof, it just completely didn't fit. I almost want to strip the audio track and add in some real Star Wars music.